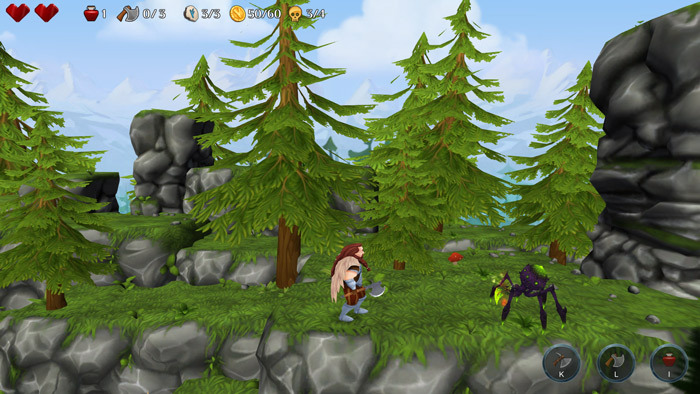 "A bright and colorful viking adventure"
Viking: Sigurd's Adventure (demo) is a side scrolling adventure game where you play as the titular character, you will have to traverse platforms, fight off enemies and find treasure chests whilst also collecting coins, these coins can then be used to buy improved weapons among other things and upgrade you character, as this is just a demo version there is only so far that you can go but this looks to be a very promising game. 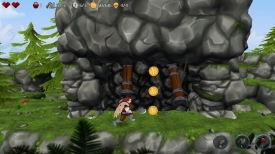 The game looks great with bright colors and the controls for the platform sections of the game are easy to get to grips with along with the helpful instructions appearing on the screen as to how to do special moves such as throwing your axe or sword at oncoming enemies. Viking: Sigurd's Adventure is a game that should be suitable for most ages due to its ease of playability and inviting color schemes, although the side scrolling element may feel a bit outdated now this is certainly a fun way to spend some time especially if you enjoy viking related stories and there are even some screens in between levels that add a little bit of viking humor to proceedings. 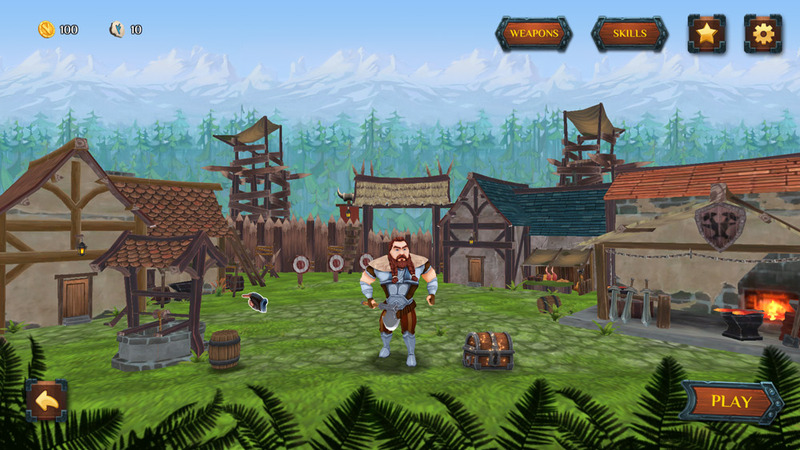 An enjoyable if not hugely original game, you can download the demo of Viking: Sigurd's Adventure here for free.